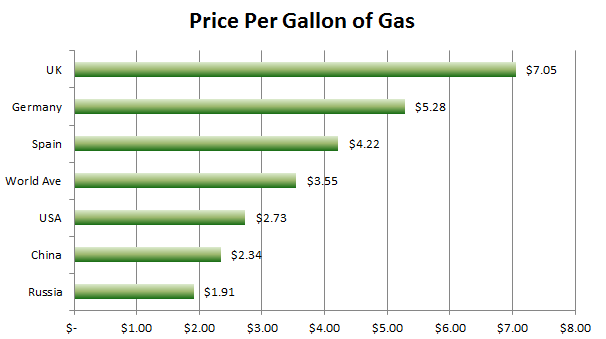 Some people say that we have so much money in America that even if we doubled the gas price, consumption would not change. I think we should give that a try. We currently use 378 million gallons of gasoline per day so a $3.00 per gallon gas tax (in addition to current taxes) would raise $137 Billion in tax revenue each year. Sure, maybe our consumption would go down -- which would also be good -- so let's call it $100 Billion. That would not quite pay for the interest on the national debt ($164B), but it would pay for the State Department ($51B) and HUD ($47B). See the Wikipedia page on the 2010 budget here.